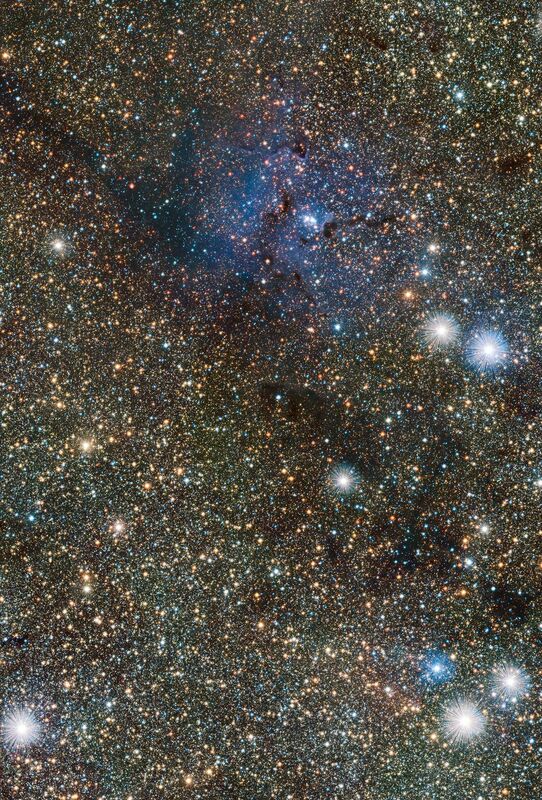 This small extract from the VISTA VVV survey of the central parts of the Milky Way shows the famous Trifid Nebula to the right of centre. 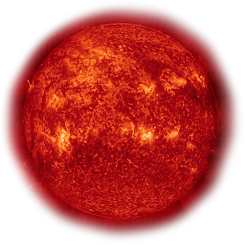 It appears as faint and ghostly at these infrared wavelengths when compared to the familiar view at visible wavelengths. This transparency has brought its own benefits — many previously hidden background objects can now be seen clearly. Among these are two newly discovered Cepheid variable stars, the first ever spotted on the far side of the galaxy near its central plane.